Theres lots of information held within this payslip that Gavin Brett shared, theres quite a bit thats difficult to read so I will add to this over time. 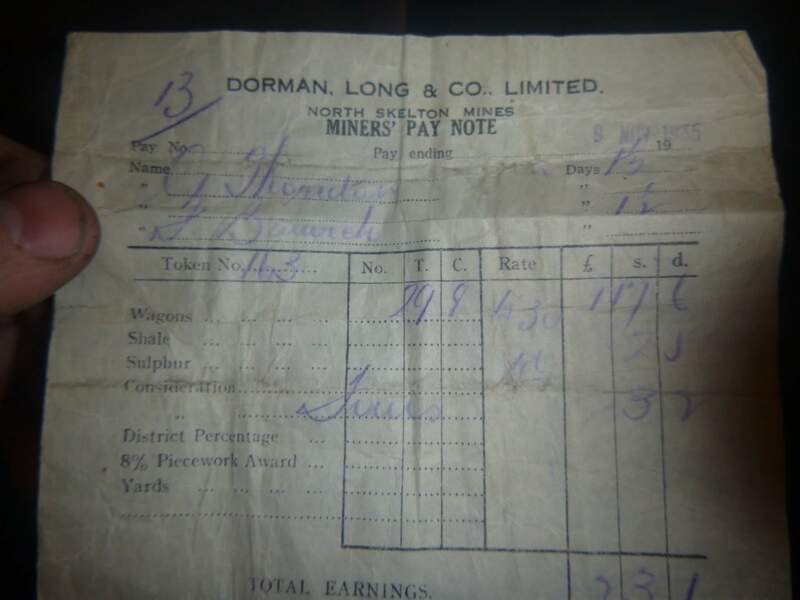 Dorman Long and Co. North Skelton Mines, 9th November 1935. 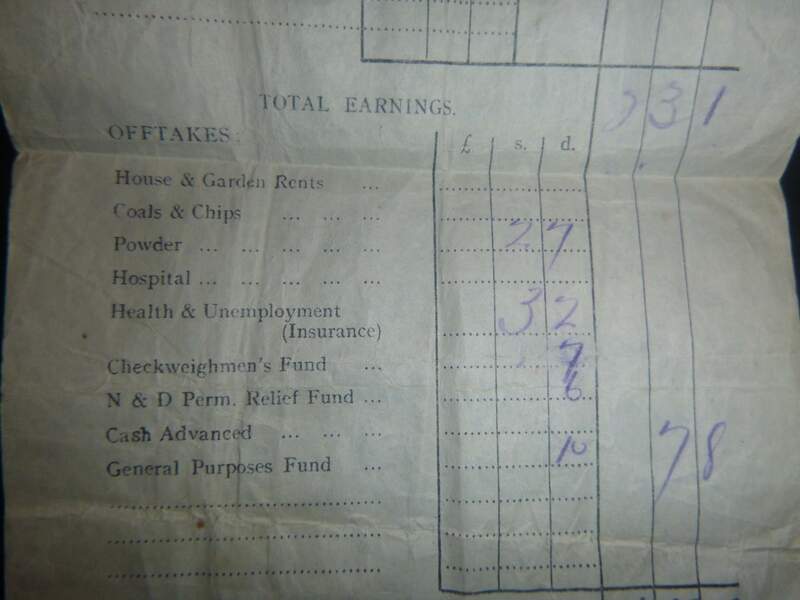 The payslip is for two people, G Thornton and (J Barnet ?) suggesting they were working as a team, probably one breaking the rock and one filling the tubs. Their token number is 163, this would allow the weighman to record the stone extracted by them at surface. Theres a small amount paid for a consideration I can’t read. The district percentage might apply if a certain area was more difficult to work than other parts of the mine. 8% piecework award, not sure yet. Yards I suspect would be for driving passages through unproductive ground. They are paying for their own blasting powder, its not provided. The checkweightmans fund it most likely to pay for an impartial individual to confirm that the mine owners internal weighman is not underpaying the miners. 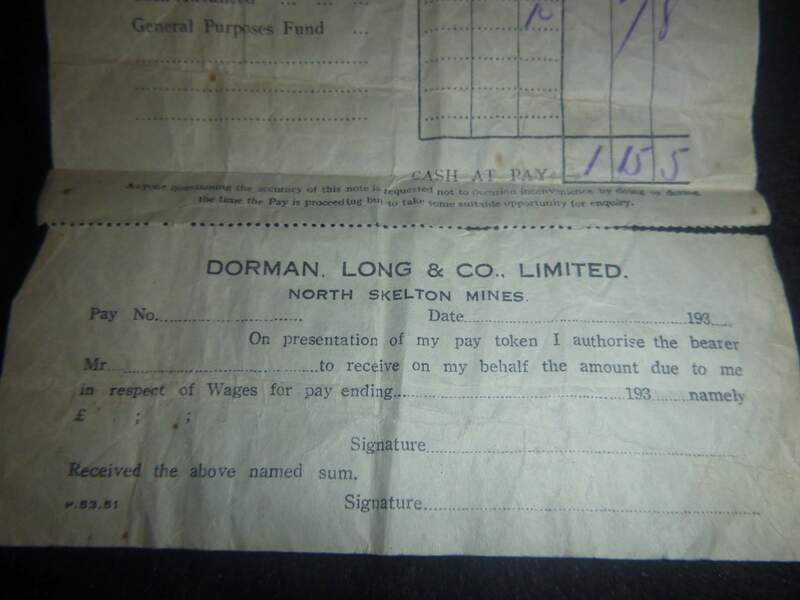 Northumberland and Durham Miners Permanent Relief Fund Friendly Society – Established in 1862, following the Hartley Pit Disaster, for provision of relief to miners and their families in case of fatal accidents or permanent disablement. The fund was wound up in 1995. We are very fortunate to have a superb sequence of rocks across the North York Moors. They helped pioneering geologists define the early framework of the science and continue to be used to train the next generations. However the rocks have also been exploited throughout human history to build prosperity and develop the region. 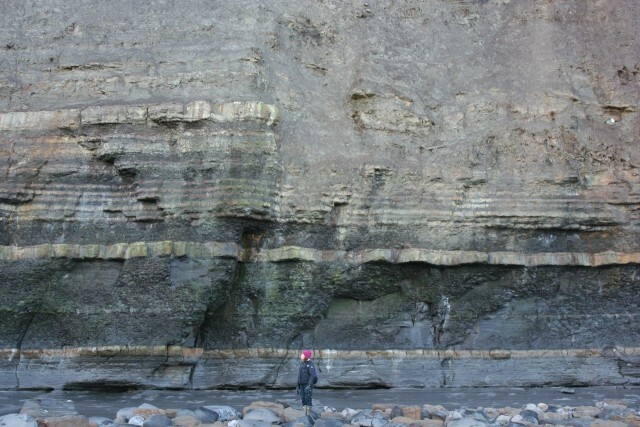 The Jurassic section spans some 50 million years of deposit and contains a large variety of ore minerals including ironstone, coal, cement, jet, building stone and alum. Each ore required unique environmental conditions for its formation and the talk will outline what these were and illustrate the resulting mining activity used in extraction. Nicholas Postgate is one of the 85 English Catholic Martyrs. He was arrested on 8th December 1678 while carrying out a baptism at the house of Matthew Lyth. He was hanged, disemboweled and quartered at York on 7 August 1679. 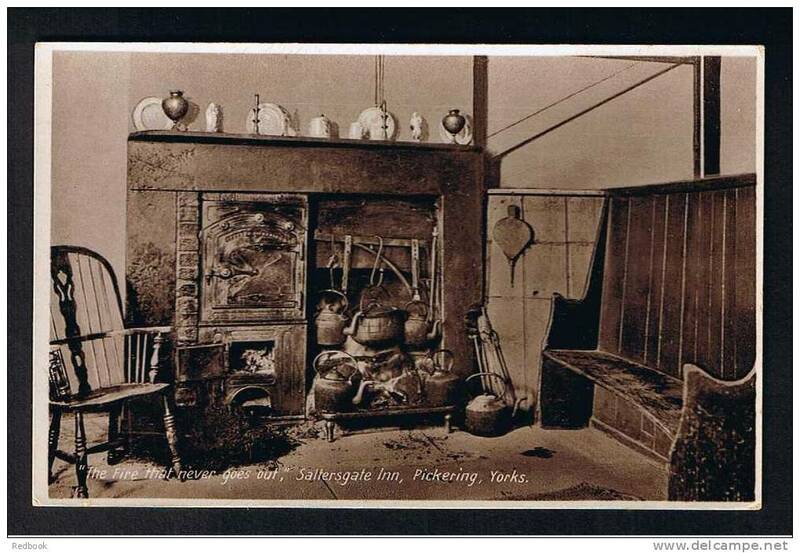 The Saltergill Inn was said to contains a peat fire that had never gone out since the 1730s. The folklore tale is that smugglers hid the body of a murdered Customs and Excise Man under the hearth and he would never be found as long as the fire was kept burning.